The awards will be presented at a ceremony on May 3. Feature image: The LEED-certified Bow Creek Recreation Center. The USGBC Virginia community is committed to transforming the way buildings are designed, constructed and operated in the Commonwealth. Local leadership achieves this through support for the continued growth of LEED certification and related green building rating systems and tools. Achievement of LEED certification demonstrates a commitment to greater energy, water and waste savings, and improves the health and well-being of building occupants and the surrounding environment. The USGBC Virginia community is proud to celebrate the leadership of Virginia building owners, designers and construction professionals who achieve LEED certification with the USGBC Virginia Leadership Awards. Connect with your peers across Virginia at this awards ceremony and reception, held at the University of Richmond’s Jepson Alumni Center from 5:30–7:30 p.m. on May 3. For pushing the envelope of green design in a LEED for New Construction project. For demonstrating outstanding building performance through LEED certification. For addressing the unique design challenges of Virginia’s landscape and climate. For a LEED-certified building that supports USGBC’s vision of green buildings for all. For demonstrating high levels of leadership in all facets of sustainable design. For their ongoing support of USGBC’s mission in Virginia. Attend the ceremony and help us select the People’s Choice Award! All projects that submitted a nomination this year are eligible. Attendees at the event will vote for their favorite, to be revealed at the end of the awards ceremony. The ceremony will also honor participants of the 2017–2018 Connect the Dots Green Schools Challenge, located in the USGBC Virginia community. 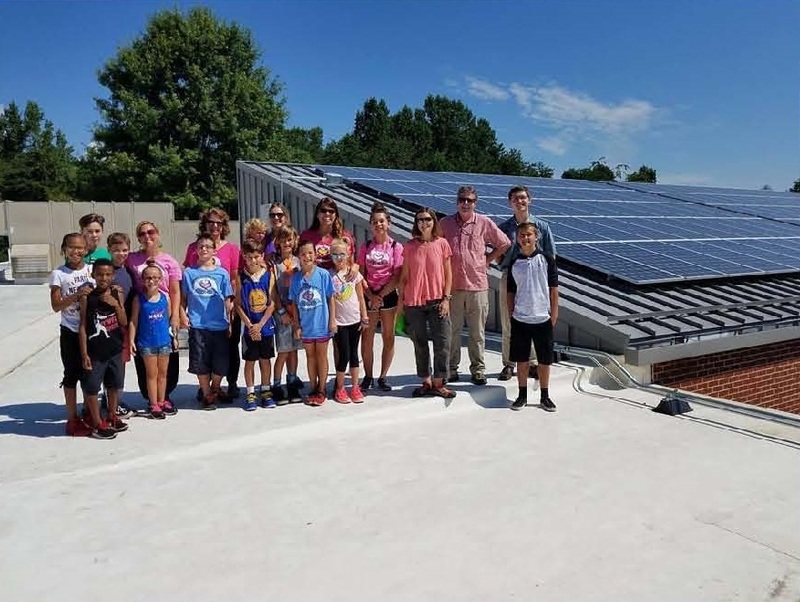 This program challenges K–12 schools across Virginia, Washington, D.C., and Maryland to implement creative, effective, no- or low-cost sustainable practices for their schools. Projects increase environmental stewardship, strengthen community outreach, encourage creativity and complement curriculum development. Participants from the Fisher, Blackwell and Jones elementary schools. Interested in supporting the event? Sponsor the ceremony to purchase bulk tickets and receive additional recognition at the event.